Time to move upstairs for Arsene Wenger? Time for Arsene Wenger to move upstairs? Sunday's defeat to Chelsea highlighted Arsenal's frailties and raised questions about Arsene Wenger's future. 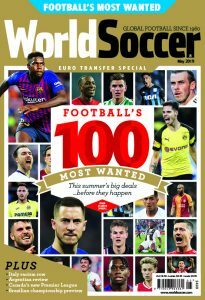 Scarcely had Arsene Wenger been eulogised by a leading sports columnist that he was under fire for his controversial decision to take off Olivier Giroud, his top scorer and chief potential threat to Chelsea’s defence, after his German centre-back Per Mertesacker had been sent off for a clumsy foul. 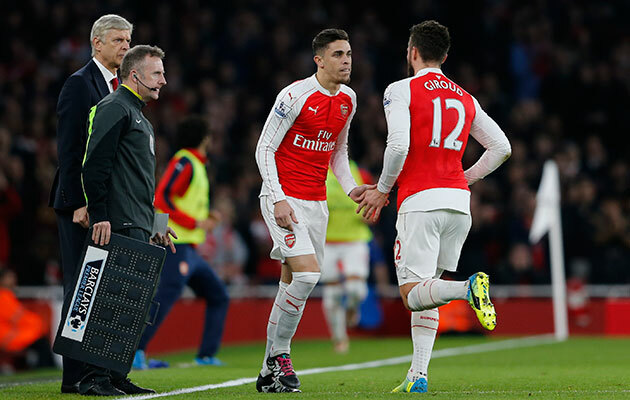 A baffled Olivier Giroud is replaced by Gabriel. In essence, arguably, a sort of surrender. True, Theo Walcott, named captain for the day, could thus fill his preferred role as centre forward, but it didn’t work. Walcott, for all his virtues, doesn’t present the sheer physical challenge and menace in the air offered by Giroud, who went off looking unsurprisingly baffled. It might have made more sense taking off Walcott himself, though I could make little sense of the opinion cited here and there that making Walcott captain at all weakened Arsenal’s challenge. 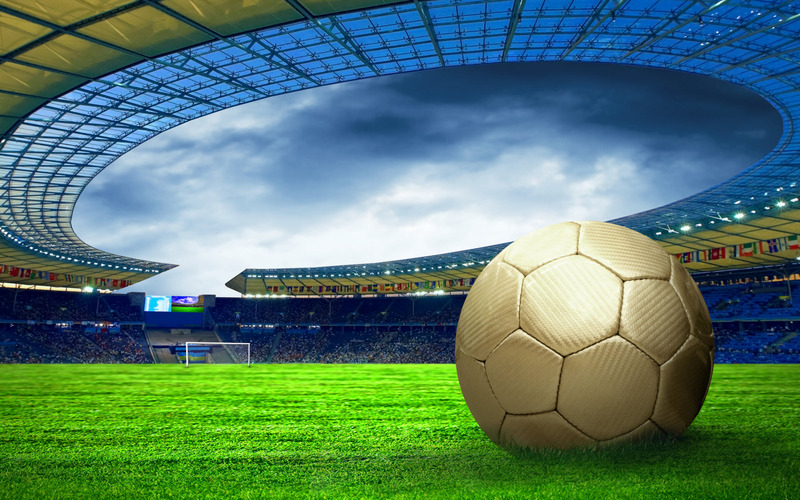 With very few exceptions, football’s captains have no more than a cosmetic role. Leadership, for better or worse, tends to come from the bench. Wenger beyond doubt has had a remarkable role at Arsenal, whom he joined from Japan in 1996. 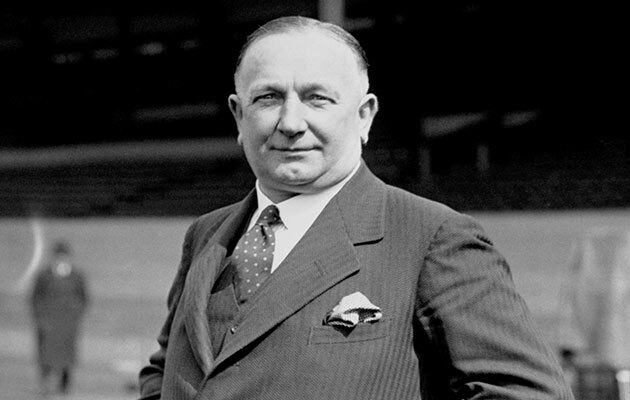 In contrast, Herbert Chapman, who surely has the strongest claim to be the Gunners’ most influential manager, reigned only from 1925 to his premature death in 1934. Herbert Chapman, Arsenal’s greatest ever manager, who died prematurely. Wenger in the past – and even in the past two FA Cup final-winning seasons – has amassed a profusion of trophies. But two seasons ago, shocking defeats by Chelsea, Manchester United and Liverpool would have cost any equivalent Italian club manager his job. And this season, in the European Champions Cup, the rash decision to pick David Ospina in goal at home to Olympiakos instead of the supremely reliable Petr Cech – an inspired purchase by Wenger, even at £10m – cost the Gunners the game. Somehow or other they limped through their qualifying group despite a humiliating 5-1 thrashing at Bayern Munich. Arsenal’s board is so firmly behind Wenger that there seems no prospect of him leaving, though perhaps ideally he should move marginally upstairs while a younger coach sits on the bench.